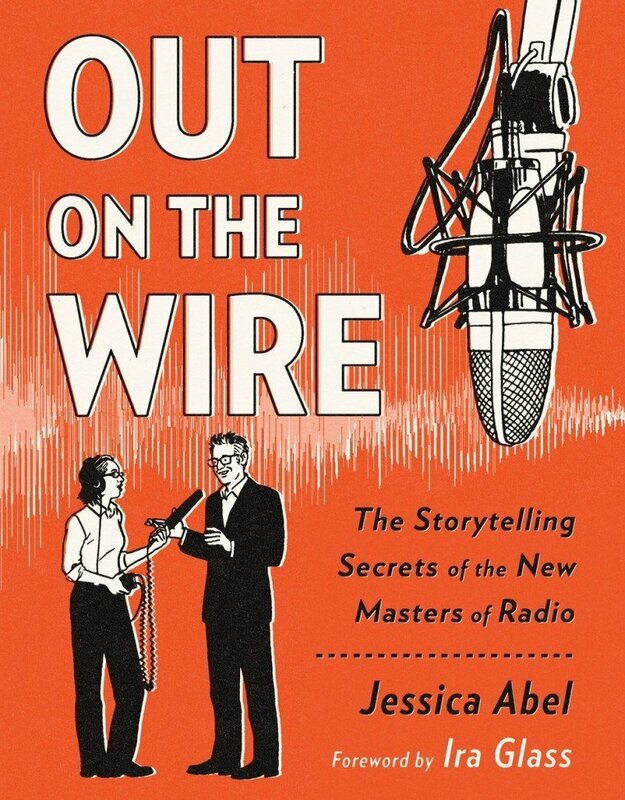 Jessica Abel's new book "Out on the Wire: The Storytelling Secrets of the New Masters of Radio " takes a fresh look behind the scenes at what goes into the making of your favorite NPR podcasts. 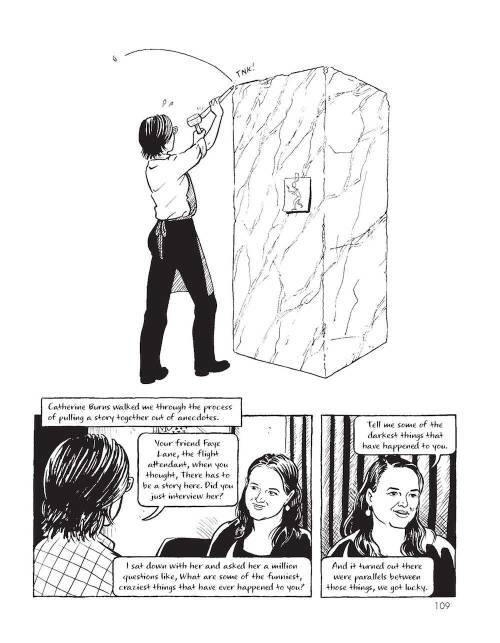 You might not think of podcasting as a visual medium, but it uses the mind's eye in a way that is suited to a graphic novel, and this non-fiction approach to the subject is surprisingly revealing. Jessica Abel has a long association with podcasting, having collaborated with "This American Life's" Ira Glass many years ago to create a handbook about the making of the show that they could give to supporters. Woven throughout the presentation, there's useful information about how to record and arrange sound clips, how to use music, and how to edit the spoken word, even down to individual breaths. "Somebody does something because __________(a motivation for doing that thing) but __________(a challenge to overcome.)" In other words, "A character sets out to accomplish something as a result of some motivating reason, but he has to face various obstacles along the way to that goal." This focus sentence could be used by artists in any narrative medium to help them define their story. Taking more than ten hours of sound clips and boiling them down to a ten minute segment that has a logical flow—and then adding voiceover and music—isn't always obvious. It often leads podcasters into what they call the "German forest," a zone of confusion that they have to work their way out of, generally with the combined brainpower of small committee meetings. The book gives a deeper appreciation of the artistry behind this popular and fast-growing field of radio production. Jessica Abel's podcast "Out on the Wire"
James, Thanks for this. It looks like it has many lessons for all creative types. I also like the emphasis she puts on really paying attention to what amuses and deeply interests you. Knowing your likes, your taste, is the fuel you will need to get through what may be years of really hard work... She covers what Ira Glass calls The Gap, that period where your taste in what you like is higher than what you as a beginning artist can actually produce. It's a good thing to know, that you just have to produce a lot of work, which will be below your own ideal, before you finally are able to make work you aspired to make. Perhaps the sooner one learns it, the better, aspiring to something really worthwhile means taking some risks, and to get good at finding one's way, one has to welcome being in periods of feeling completely disoriented, as though bouncing on a high wire, at a dizzying height.